Easy on - Easy off - Guaranteed! Use on all metals and oxidized paint. Removes oxidation, tar and bugs from paint and rust from chrome. 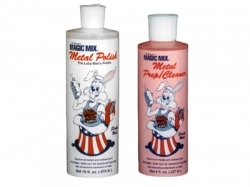 Metal polish and metal prep cleaner. 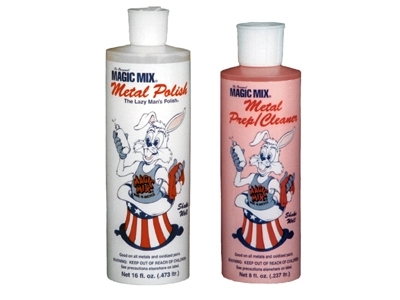 Magix Mix 'the lazy man's polish' is distributed in Canada by NLS Products. Copyright © 2019, NLS Products. All Rights Reserved.